Malcolm Mitchell, rookie wide receiver for the NFL's New England Patriots, and national nonprofit organization Learning Ally have teamed up to encourage students to practice reading this summer so they are ready to “take the field” when they return to school. Mitchell, drafted by the Patriots in May 2016, is an All-American from the University of Georgia, Children’s Book Author of the Year and youth literacy advocate. He joins Learning Ally to provide support, encouragement and motivation to thousands of students as they compete in a sports-themed reading contest called "Ready, set, read!" during Learning Ally’s Summer Reading Together program, designed specifically for students who read differently because of print disabilities. Mitchell is also “in the huddle” during #SRT16 - Learning Ally's Social Media challenge - modeled after the United States Department of Education's #ReadWhereYouAre campaign and is giving a signed copy of his book, "The Magician's Hat" as a prize to the contest winner. The challenge runs through July 31 and encourages students with disabilities like dyslexia and visual impairment to read at least 20 minutes every day and to submit photos of where and how they are reading. Research shows that summer reading helps reduce "summer slide" for all students. Experts indicate that reading at least 20 minutes a day outside of the school year ensures that students continue to grow and develop. To read, students enrolled in Learning Ally use the organization’s audiobook technology program, which includes an online library of 82,000 human-narrated textbooks and literature titles accessible via personal computers, smartphones, Chromebooks, and Apple or Android tablets. Learning Ally volunteers at studios across the country record the audiobooks. To celebrate National Summer Learning Day on July 14, Mitchell will visit a Learning Ally studio in his home state of Georgia to record his book and meet some of the volunteers who provide the "voice" for the audiobooks. The Learning Ally Summer Reading Together program, which includes the “Ready, set, read!” contest, the Summer Social Media Challenge, and opportunities for student readers to set up their own fundraising pages to raise money as they read, runs through September 1. To join Malcom and the Learning Ally team on the field, have fun and read more this summer, please visit LearningAlly.org/Summer. Founded in 1948, Learning Ally supports K-12, college and graduate students, veterans and lifelong learners – all of whom read and learn differently due to dyslexia, blindness or visual impairment, and other disabilities. Through its extensive community events and support programs, Learning Ally enables parents, teachers and specialists to help students thrive. The organization hosts live and virtual events for families and teachers; provides instructive webinars led by experts as well as peer-to-peer sessions led by students; and professional development workshops for educators. Learning Ally’s collection of more than 82,000 human-narrated audio textbooks and literature titles can be downloaded by students using their smartphones and tablets, and is the largest of its kind in the world. As a 501(c)3 nonprofit, Learning Ally is partially funded by grants from state and local education programs, and the generous contributions of individuals, foundations and corporations. For more information, visit http://LearningAlly.org. Read with Malcolm is a youth literacy initiative founded by former University of Georgia wide-receiver and current New England Patriots rookie, Malcolm Mitchell. The organization’s goals are twofold: 1) to introduce book ownership to students in households where reading is not a priority and 2) to improve literacy in schools with below grade-level reading skills. 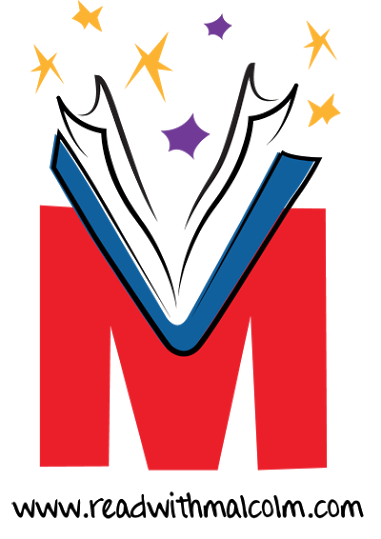 In 2015, Read with Malcolm launched Share the Magic Foundation, a 501c3 nonprofit organization, to promote the long-term benefits of being an active reader to students served by Title I schools and under served communities. 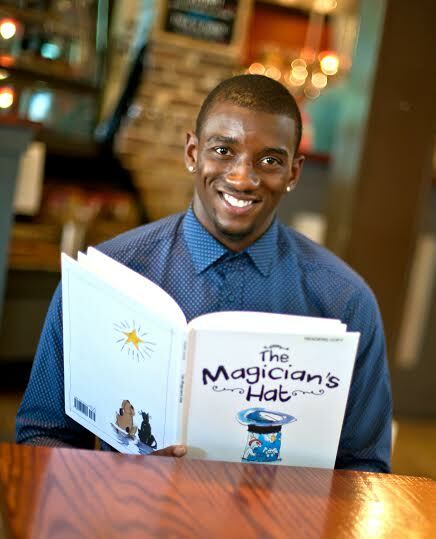 In its first year, Malcolm Mitchell’s book, “The Magician’s Hat,” has been distributed to more than 12,000 students in schools, children’s hospitals and community service organizations. To help us continue to inspire young readers, please visit http://www.readwithmalcolm.com for more information about Malcolm’s youth literacy programs. 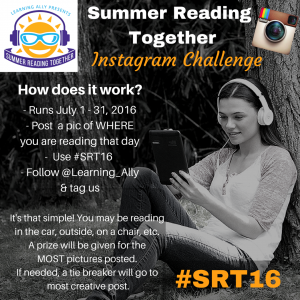 The Learning Ally Summer Reading Together program #SRT16 runs through September 1. NFL receiver Malcolm Mitchell is teaming up with Learning Ally to help students get a jump on reading and "take the field" when they return to school.